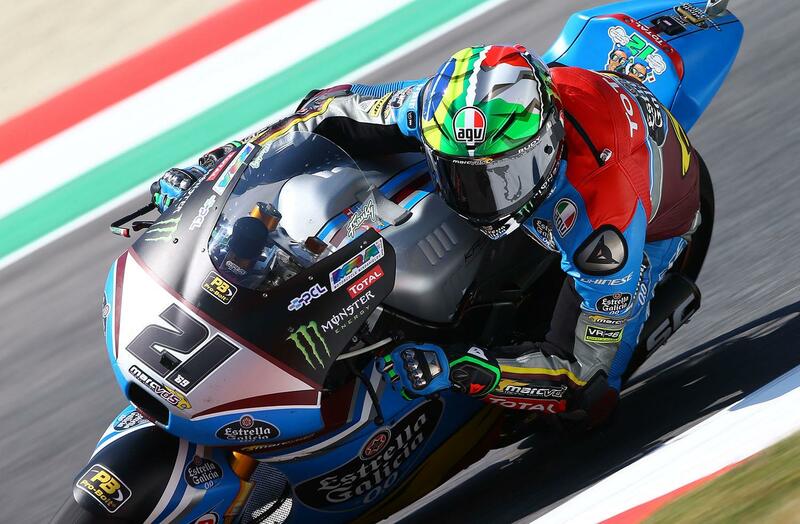 Franco Morbidelli has won the latest instalment of the Marc VDS Moto2 battle over teammate Alex Marquez by taking pole position for tomorrow’s Italian Grand Prix at Mugello, as the pair look set to maintain the team’s 100% win record in the class this season. Morbidelli took the top spot from his teammate by a mere 0.036 – and says he’s looking forward to the fight between the pair tomorrow in the race proper. “It feels fantastic to be on pole position in front of my home crowd and the atmosphere today was incredible. I got the perfect drive coming out of the last corner to get in behind Hernandez and I am so happy it was enough to take pole position on a track where I’ve never been strong in the past. 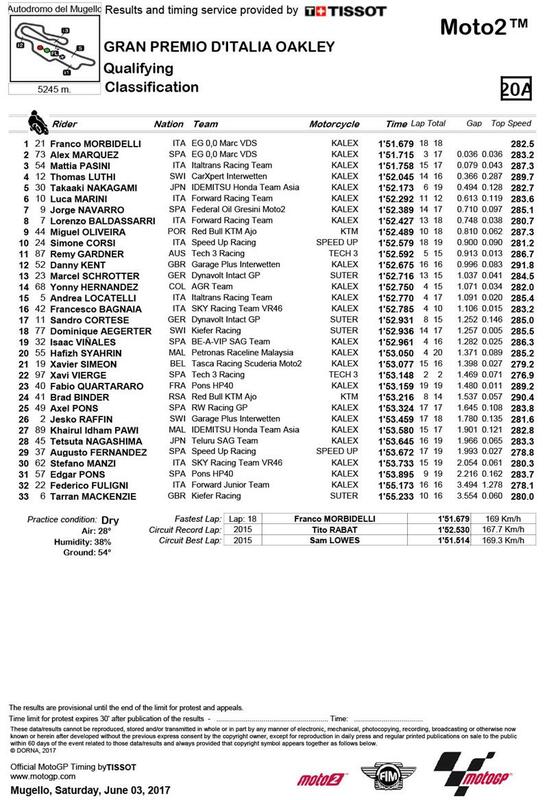 Mattia Pasini was a home favourite in third, with Thomas Luthi, Takaaki Nakagami and a strong showing from Luca Marini rounding out the second row of the grid. Danny Kent was the top Brit in 12th on his Garage Plus Interwetten Kalex replacement ride for the injured Iker Leucona, while Tarran Mackenzie was 33rd on the Kiefer Racing Suter.